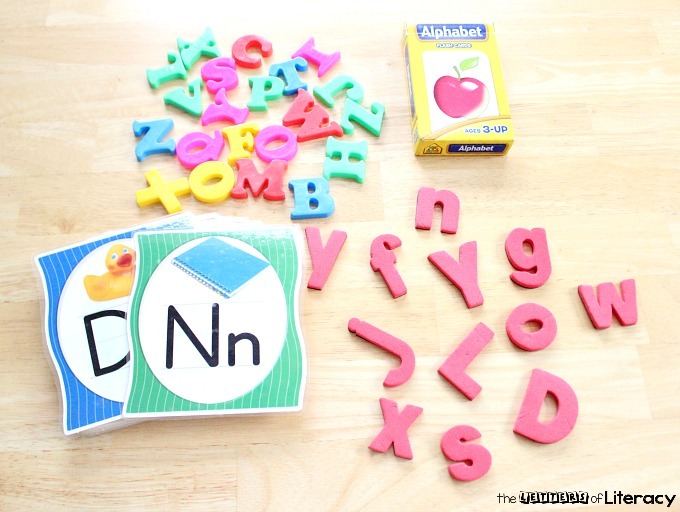 Create a letter recognition grab bag for teaching a fun way to learn the alphabet. 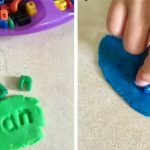 Encourage fine motor skills and alphabet recognition. Plus, get a free printable! 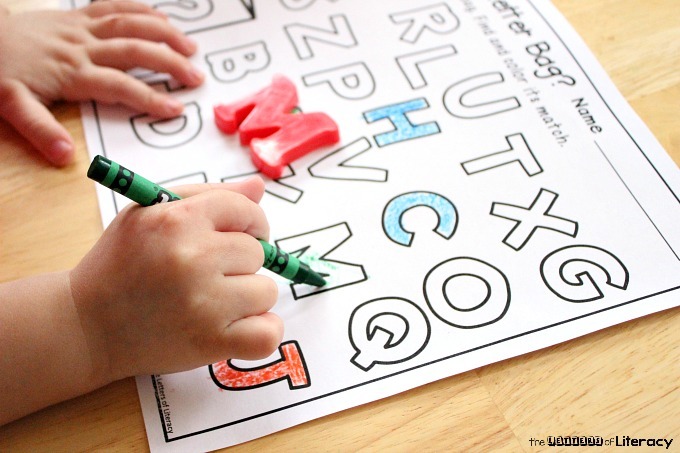 This activity pairs perfectly with our Alphabet Centers! 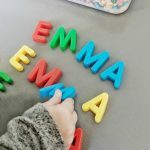 When I think about my favorite tools for practicing letter recognition, I’m reminded how much fun it is to give children the opportunity to engage in hands on letter activities. Not only are these experiences more enjoyable for early readers, but the chance for retention of the concepts is greater. It’s a fact that children will learn more and retain more of what’s being taught if they are actively engaged and having fun! 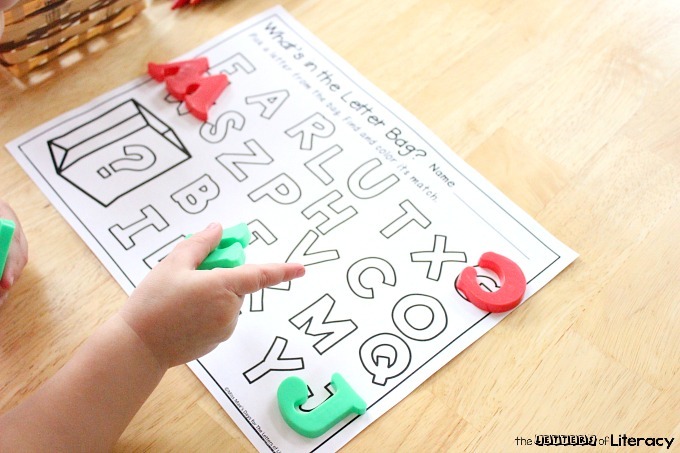 That’s where this Letter Recognition Grab Bag activity comes in handy! 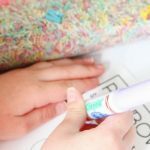 My favorite time to use this activity is during centers or in a small group. Children as early as preschool up to kindergarten will benefit from this fun activity. There are a few ways this can be used at home or at school. 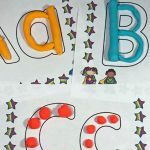 I would recommend using letter manipulatives, letter flashcards, and a bag or basket with the printables for this activity. We’ve used drawstring bags and baskets for this activity. It’s so much fun and there’s a level of excitement for the children to stick their hand in the grab bag and pull a letter out. 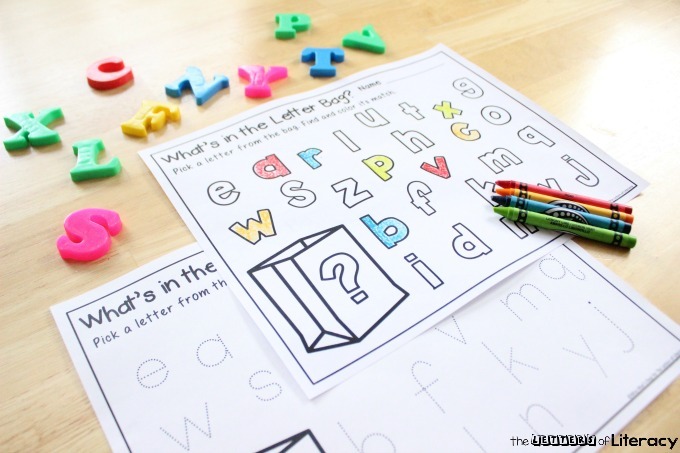 Children then use the corresponding printables (at the end of the post) to color in the letter that they’ve pulled out of the grab bag. 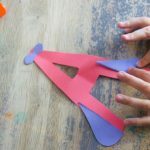 There is also a letter tracing printable, which gives children the chance to practice writing skills. They simply trace the letter that they’ve pulled out of the grab bag. If you’re like me, then you like to give your children choices and also get the most out of your center and small group activities. Using both of these printables can do just that. 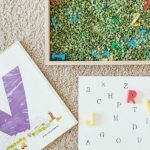 Tip: Switch out the letters and printables for focusing on uppercase and lowercase letters (both are included in the download). Ready to have some fun with letters? 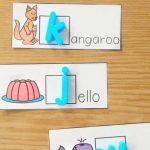 Grab your Letter Recognition Grab Bag printables by clicking the blue button below. 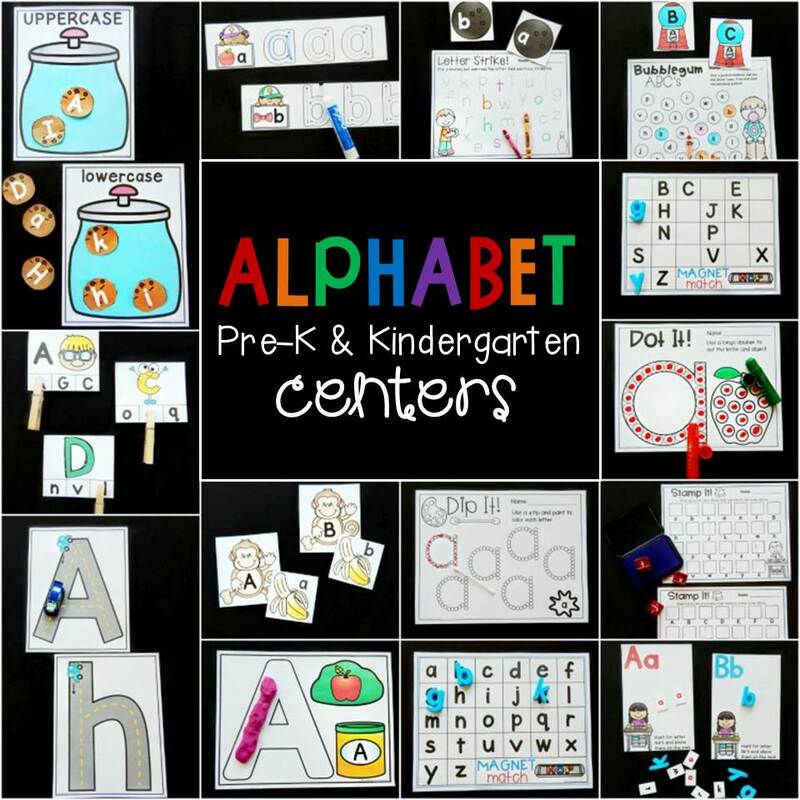 Then, for more alphabet activities your kids will love, grab our Alphabet Centers! Thank you Ms. Mae this is a great activity, fun to practice and learn letters recognition. I am a Kinder Spanish class Teacher. 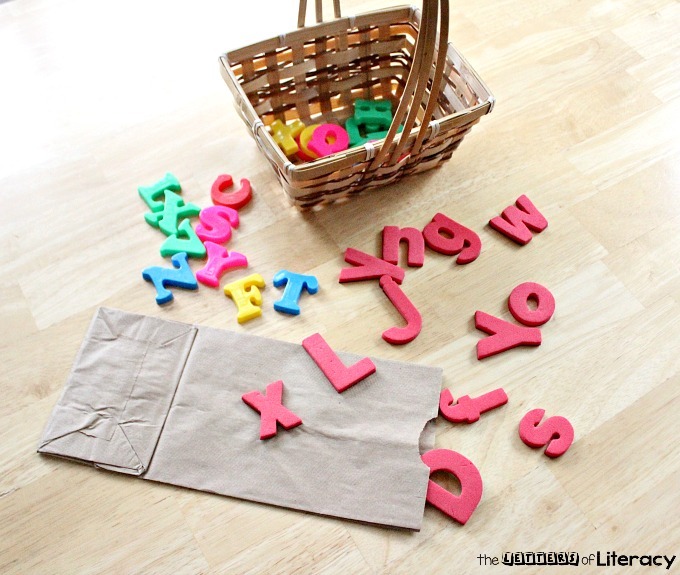 This is a great activity to help children learn the alphabet as it captures their attention when using the manipulatives and the addition of using a drawstring bag, adding excitement to the activity. 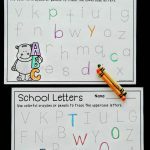 The corresponding worksheets allow for students to get used to recognizing the letters, lower case versus upper case letters, and then gives students the opportunity to practice tracing and writing them. 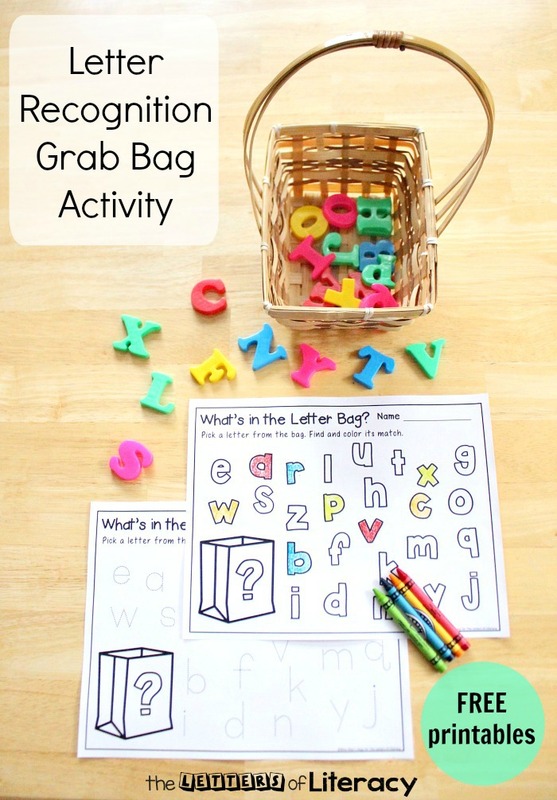 We are happy to hear you enjoy the Letter Recognition Grab Bag activity! Have fun! It ask me for a password? I love this idea and have used it in different ways, as a small group and individually. Thanks for sharing it! 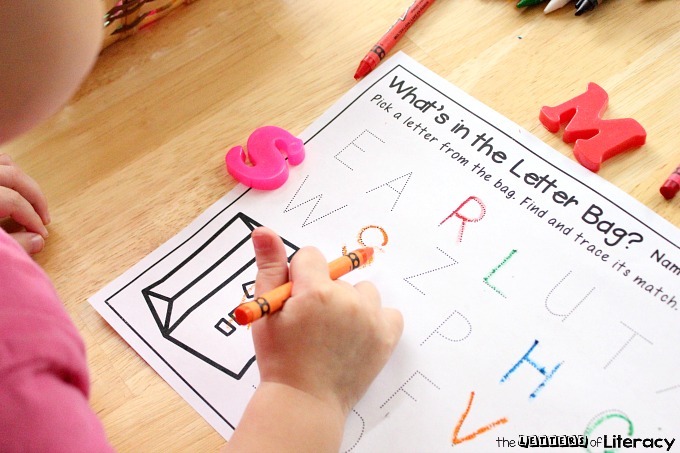 Hi Nancy, We are happy to hear you enjoy the Letter Recognition Grab Bag activity! Have a great school year! I just printed these off for my niece that is struggling with her letters. I covered them in contact paper to faux laminate so she can use dry erase markers, and I will most definitely be taking a look around the site in the morning. Thank you so much for sharing! Hi Yolanda! What a wonderful aunt you are to your niece! She’s very lucky to have you. We are happy to hear you are enjoying our resources. What a great idea using contact paper! Have fun!